Formerly known as the Myrtle Beach Highland Games, the March 23-25 event has developed a loyal following after two years of success at The Market Common, last year drawing visitors from 26 states and five countries. 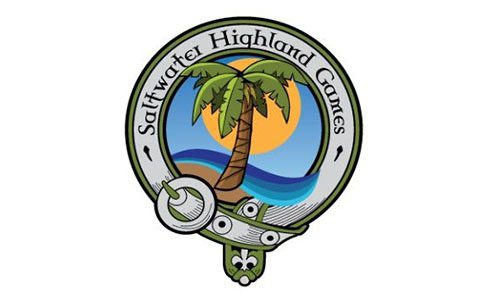 But with additional space needed this year for added elements and activities, the growing Saltwater Highland Games will now be held at the North Myrtle Beach Park & Sports Complex. Open Stone Put – Similar to the shot-put competition seen in the summer Olympic Games, this event challenges athletes to throw a stone weighing between 16 and 22 pounds in an attempt to record the greatest toss distance. The “Open” in the event name indicates that any style of throw is allowed, with the spin and glide styles favored by most competitors. Braemar Stone Put – This throwing competition uses a larger stone, this one weighing between 22 and 28 pounds, and requires that it be thrown from a standing position. Caber Toss – Competitors in this event toss a trimmed-down, 16- to 22-foot tree varying in weight from 100 to 180 pounds. One end of the caber is slightly slimmer than the other and has been rounded to facilitate a better grip during the throw. The goal of the toss is to flip the caber over and have the narrow end land as close as possible to the 12 o’clock position directly in front of the thrower, with the participant who achieves the smallest angle declared the winner. Hammer Throw – Participants in this event stand with their backs to the target area, then launch a 16- or 22-pound hammer outfitted with a lead or steel head and a bamboo or rattan handle over their shoulders, attempting to record the greatest distance thrown. 56 lb Weight for Distance – In this event, competitors throw a 56-pound weight that is either block or spherical shaped and is attached via links to a handle. Weight for Height – This competition sees athletes use one hand to toss weights of 28 and 56 pounds over a crossbar. While these feats of strength may be the top draw at the Saltwater Highland Games, they are by no means the only reason to attend. Other attractions include live entertainment from Celtic musicians and bagpipe bands from throughout the Southeast, “Tour of the Land” whisky tastings featuring an array of Scotches from the different regions of Scotland, a Kids Glen where the little ones can get in on the sporting action, and even a Quiddich tournament hosted by Coastal Carolina University. Further, vendors selling an array of souvenirs, food and beverages will offer plenty of other Scottish and Celtic flavor to interested attendees. Offering an authentic taste of Celtic culture in the Myrtle Beach area, the Saltwater Highland Games are fast becoming one of the Grand Strand’s favorite annual festivals. Get your clan together for a great long weekend at the event, and book your stay at Bay View on the Boardwalk Resort – conveniently located directly on the Myrtle Beach Boardwalk and oceanfront – for easy access to the events and comfortable accommodations during your getaway.